Jamie is a senior solicitor in the Family team. She handles all aspects of private family law, including acting for clients in financial relief and divorce proceedings as well as acting in children matters. Her financial cases often include complex issues such as non-matrimonial property, the valuation of business assets, tax issues or assets located overseas. Where appropriate she works with colleagues in other teams to provide a joined up service. She frequently acts for clients in relation to children issues such as disputed living arrangements. 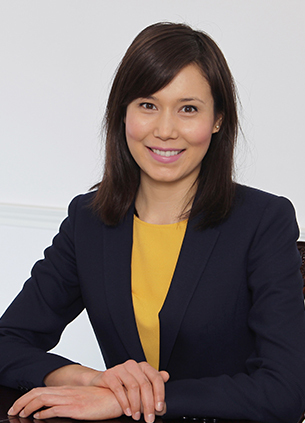 She also has expertise in advising on pre-nuptial agreements and acting in cases involving unmarried cohabitees. Clients value Jamie's incisiveness and attention to detail. She provides clear, pragmatic advice, focusing on the client’s particular priorities and long-term objectives. Jamie has made regular appearances on ITV's This Morning show as a commentator on family law issues including contact and cohabitation disputes. She graduated from Oxford University in 2006 with a First in History. She qualified in 2013 and has previously worked for Freshfields and Bross Bennett and joined Forsters in March 2016. "Knowing that our clients will be impressed by the service they receive from a nominated solicitor is vital to our long term relationships - the Forsters team repeatedly provide an exemplary service."